Here is our photographic round-up of what's been grabbing Hookedblog's attention on the streets of East London over the last week or so. 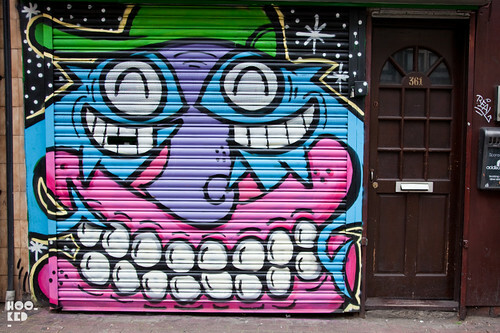 This Sweet Toof and Pez shutter is from a few weeks back from when PEZ was in London for his solo show but we have only just managed to capture a photo of the piece as the shop always seems to be open! A new woodcut piece from London street artist Dale Grimshaw located on a wall on Hanbury Street just off Brick Lane in East London. Also further along on Hanbury Street is a recent piece from stencil artist Otto Schade. 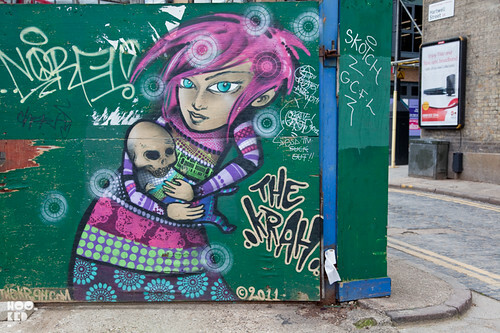 A piece from last year painted up in Dalston featuring the work of The Krah. 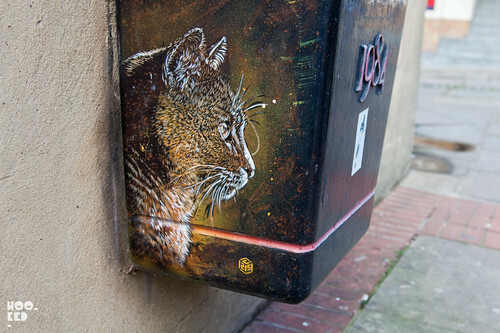 Finally found this stencil cat hiding just off Leonard Street, sprayed by French Street artist C215. 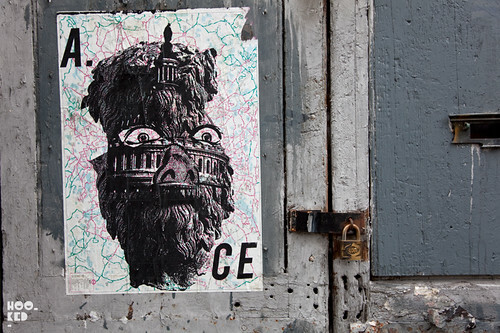 London based street artist A.ce. 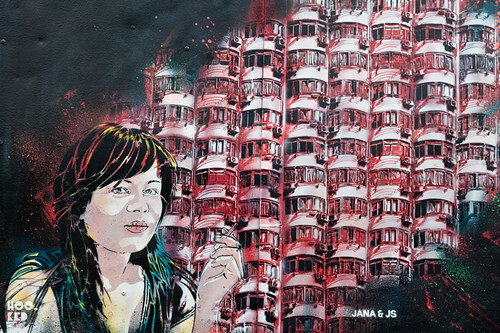 Stencil duo Jana & JS were extremely busy on their recent trip to London, we have already featured a selection of the stencil work they created around East London. 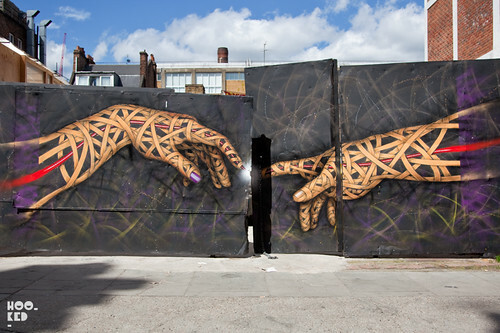 The piece pictured above is located on Hengate Street, off Brick Lane. Featuring work from A.ce, Malarky, Dom, Pablo Delgado & Michael DeFeo. 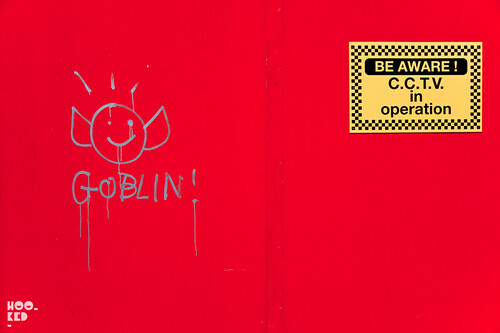 Featuring work from Malarky, Stik, Haculla, Lister, EMA. 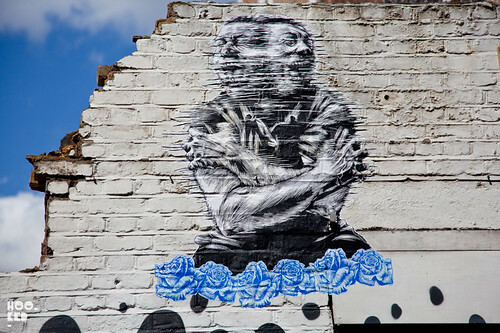 Featuring work from Banksy, Dale Grimshaw, Mr.Penfold, Ronzo & D*Face.